Classic Perstorp pattern in a classic Perstorp Bag. The inner bag with classic Virrvarr pattern, is designed 1958 by Sigvard Bernadotte. 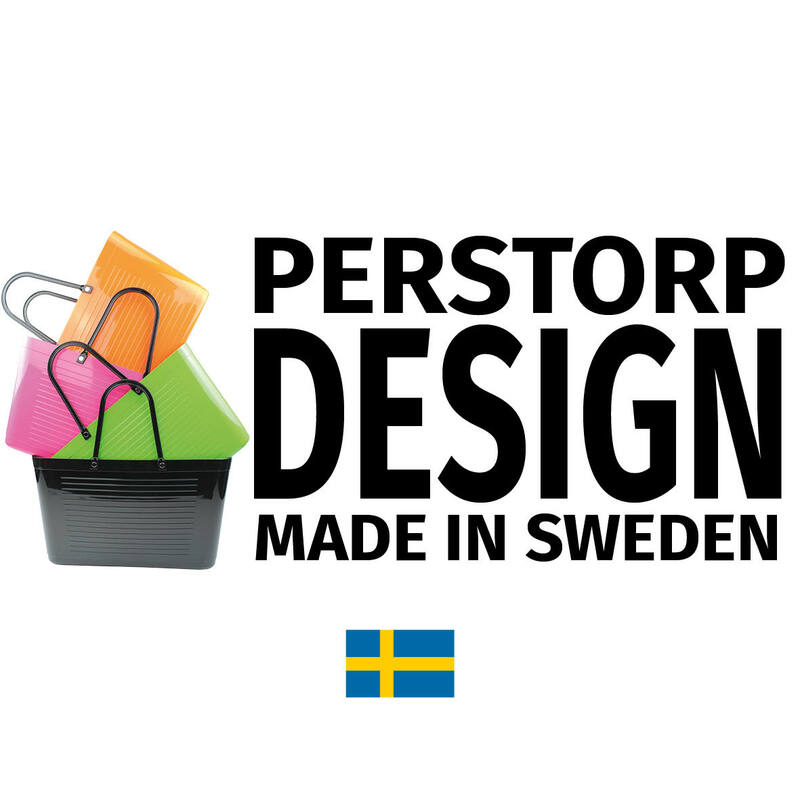 The inner bag, an optional finishing touch for the Perstorp bags. In extra heavy canvas cotton, with details in metal and zip-up closure. It provides additional functionality, some security and privacy. It can easily be removed and/or swapped with another inner bag. The bag fits inside our plasticbags. Available in two sizes, for Large and City / Bicycle basket. In the 50s and 60s, the plastic laminate, called Perstorpsplattan, was common as a countertop, but also as a splash cover and table top. The first Perstorp plate was manufactured in 1950 and had a pattern that reminded of a linen cloth and was in beige and two gray tones. A famous pattern from the Perstorpsplattan is Virrvarr, drawn in 1960 by Sigvard Bernadotte. The pattern has been in several colors and is still manufactured.